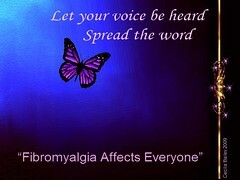 Fibromyalgia is a disease found in all parts of the world and in every age group. It is believed there are 8 to 10 million people in the US with this disease, some undiagnosed. Information has become readily available during the past few years in books and online. However, finding the best sources may not be as easy, since there is still much misconception and disagreement about the disease, even among healthcare professionals. I have this disease, and thus my intense interest in the subject. I recently received in the mail a bunch of books from an acquaintance who has had fibromyalgia for a number of years, and she thought they would be helpful. This got me thinking about where good information can be found, and I decided to explore the question. The books I received were dated, that is, about ten years old. That fact set up doubts in my mind, but I perused them to see what they had to say. using insulting and gross titles – I guess they thought they were funny – and they became popular for all kinds of topics. I hope that trend has changed, especially for something as serious as an illness. Putting those thoughts aside, I opened the book to a random page and began to read. There is a great deal of attention paid to self-help, especially finding the right therapies, integrative therapies, and life style management. Because this disease is still somewhat of a mystery to many lay people and to the medical community, self-help management is truly necessary, and following the book’s guidelines will help the patient gain confidence in this regard. I did not read other chapters, such as diagnosis, treatment options, and behavioral health, so I cannot speak to them. The author, Lynne Matallana, who went on to become the co-founder of the non-profit National Fibromyalgia Association, researched and wrote this book to help her understand her illness. She is not a healthcare professional but does rely on several doctors for their technical knowledge. Happily, I found a 2nd Edition published in 2009 on Amazon that is more up-to-date, and I always recommend sourcing newest editions and up-to-date information. I give it a thumbs up. “Say Good Night to Insomnia” by Greg D Jacobs, PhD does not target fibromyalgia, and just as well because insomnia is not a symptom of this disease. Insomnia simply means sleeplessness. It is the level 4 deep sleep of the natural sleep cycle that is truncated in the fibro patient. 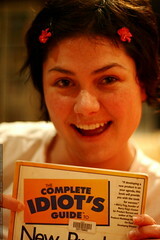 I tossed this book out. In “The Fibromyalgia Relief Handbook” by Chet Cunningham, published in 2002, the information is out of date from the get-go because he does not even call it by its correct name but by the outdated “FibroMyalgia Syndrome, or FMS. He calls it a serious medical problem but does not refer to it as an illness. There were other inaccuracies as well. Because the book is ten years old and there are so many newer and better resources, I tossed this out too. “:60 Second Mind/Body Rejuvenation” by Curtis Turchin, DC, MA, published in 2000 concerns itself with increasing health and longevity through proper exercise, nutrition, and a relaxed attitude. 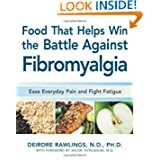 Although this does not speak to fibromyalgia specifically, the recommendations are helpful for a healthy lifestyle, and for that reason I give it a thumbs up. “Reversing Fibromyalgia: The Whole-Health Approach to Overcoming Fibromyalgia through Nutrition, Exercise, Supplements and Other Lifestyle Factors” by Dr. Joe M. Elrod, second edition published in 2002. Dr. Elrod addresses the level 4 deep sleep deprivation in fibro patients; he also says that rest is as healthful as exercise and nutrition in maintaining health; and his advice on nutrition, exercise, and lifestyle will help fibro patients manage their symptoms. Indeed, it is wise to follow his protocols for any chronic illness, and certainly for fibromyalgia. Although his book is ten years old, his wisdom is timeless. I’m keeping this one. It is a thumbs up. Another book, “Figuring Out Fibromyalgia,” which I reviewed elsewhere in my blog, is by Ginevra Liptan, MD, who spent years, even while in medical school, trying to get a diagnosis of an illness she did not understand, and now has written a very knowledgeable book based on current science. It is a must-read for anyone wanting to know current science behind the illness and treatments; appropriate for both medical professionals and the rest of us. I chose these from among many on the Amazon site because they address issues in which I am interested: Food, of course; and a new paradigm for treating pain without medication. Besides, it is very scientific looking and has a cool picture on the front. I think I will buy this one. I have no particular interest in Amazon.com except that it is easy to access, and most people go there at least once in a while. I have enjoyed bringing this overview of a complex subject to you, and I hope it will be helpful. I have also learned some things along the way. As Garrison Keillor from A Prairie Home Companion says, “You write in order to learn.” I agree.